This Community Annual Report provides a snapshot of the achievements, and works and services delivered by Cairns Regional Council during the period 1 January to 31 December 2015. You can also download a PDF copy of the Community Annual Report ( PDF, 1.1 MB ), as published in The Weekend Post on 5-6 December 2015. Australia Day Awards, International Women’s Day, Cairns Cultural Diversity Awards and Baby Welcome events successfully staged. Citizenship ceremonies held to naturalise more than 900 people. Ride To Work Day event in October attracts 350 riders. Mayor’s Charity Golf Day raises $7,500 for Salvation Army. Go Clubs Volunteer Recognition Awards held to recognise volunteers of local sporting clubs. New Year’s Eve celebrations on Cairns Esplanade attracts over 20,000 people. Hosted the Great Barrier Reef Masters Games in August, attracting more than 2000 participants. Major sponsor of Cairns Airport Adventure Festival (Ironman). Support in staging Australian Men's Masters Hockey Championships. Sponsorship for Cairns Indigenous Art Fair; Cairns Amateurs; Gold Coast Suns vs Western Bulldogs AFL Fixture match; Hyundai A-League match of Brisbane Roar FC and Wellington Phoenix; and Crocodile Trophy. The $65 million Precinct project is launched which will provide the city with a new performing arts complex on the site of the existing Civic Theatre, and lush tropical parklands with an outdoor performance space in Munro Martin Park. $2.2 million upgrade to Tanks Arts Centre underway to increase audience capacity and seating, climate control, dressing rooms, permanent stage and bar facilities as well as the conversion of Tank 3 into a secondary performing arts space. Establishment of the Zhanjiang (Sister City) Chinese Friendship Gardens is completed. Ten projects share in more than $70,000 in grant funding as part of Regional Arts Development Fund. Tanks Arts Centre had 6th successive win as Best Entertainment venue in Cairns in The Cairns Post HiT Awards. 14,610 people attended 36 ticketed shows at the Tanks Arts Centre. Tanks Arts Centre's program of events included 20 visual art exhibitions, Jazz and World Music Series, 2nd Annual Cairns Children's Festival, Market Days, CIAF satellite events, workshops, PechaKucha presentation nights, National Science Week, International Women's Day Events, Children's Theatre, NAIDOC events. Tanks Arts Centre Residency Program hosts13 artists from Australia, Brazil, France and the USA. Project approval for $8 million refurbishment of School of Arts building. Cairns Esplanade hosts numerous community festivals and celebrations including Cairns Ukulele Festival, NAIDOC celebrations, UMI Arts Big Talk One Fire, Gimuy Fish & Food Festival , PNG Independence Celebrations, Tropical Wave Light The Night Festival, Japanese Festival, and Pacific Island Communities Festival. Coordination of local markets which host over 600 stall holders. Palm Cove markets take on a new format as a Sunday market on Williams Esplanade, attended by 20,000 people in the first three months. Cairns Botanic Gardens Precinct hosts more than 280 workshops sessions for yoga, aerial circus, acting, drawing, photography, as well as film nights, fair days and picnics. Cairns Civic Theatre hosts 47 productions presenting 128 performances. Cairns Festival ran from 28 August - 6 September, featuring a diverse range of free events including the Festival Parade, Family Film Nights, Block Party, Sunday on the Nard, EnLIGHTenment at the City Library and Carnival on Collins. Cairns Festival 2015 Grand Parade attracts record-breaking number of 3,000 participants, with 80 float entries. Cultural Infrastructure Grants worth $236,575 allocated to improve community cultural facilities. $30,000 in Local Events Grants distributed to 7 not-for-profit organisations for community events. $48,800 worth of Arts & Culture In-kind grants allocated. Changing Lanes Public Art Project in Ewan Lane launched in October to an estimated audience of 300, with installation artworks by 6 artists. Free outdoor movie nights held at Brinsmead, Gordonvale and White Rock with more than 1000 in attendance. The 2nd annual Understory Film Festival continued to promote local short film production, with more than 350 attending the awards and screening night at Tanks Arts Centre. Urban Spaces, an initiative focused on activating vacant CBD spaces with popup creative-based businesses, matched 7 enterprises to vacant spaces. Two Creative Crawl bus tours promoted Cairns creative industries by taking 160 arts enthusiasts to a range of galleries and exhibitions. Spotlight emerging musicians program provided 4 industry workshops and 44 performance opportunities for 90 emerging artists. Completed a quantitative assessment of the outcomes and achievements of the 2009-14 Cultural Program Plan. Development of Conservation Management Plan for Cairns Regional Gallery. Stage 1 of the Shields Street redevelopment (between Grafton and Lake streets) which includes creation of an urban park, public art showcasing Indigenous culture and contemporary lighting, commences. 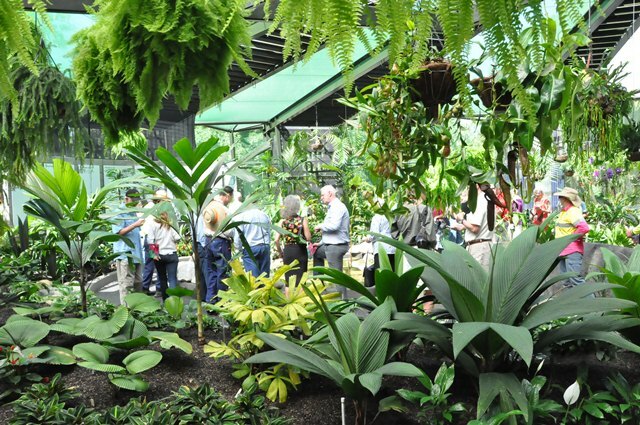 The new Watkins Munro Martin Conservatory officially opened at Cairns Botanic Gardens in September. Cairns Esplanade Lagoon added to the Trip Advisor Hall of Fame as one of the world's top tourist attractions for earning a Trip Advisor Certificate of Excellence for the fifth successive year. More than 1.2million Library visitors borrowed over 1.3 million items including books, eBooks, eAudio, eMagazines, and eMovies. More than 560 Learning, Lifestyle and Literacy workshops, programs and events for all ages held at libraries. Visitors spent over 85,000 hours utilising public PCs in Libraries to access over 150,000 internet sessions. Free WiFi in Libraries was utilised by visitors with mobile devices for over 55,000 hours to connect to over 120,000 internet sessions. Libraries conduct 3-day Annual Book Sale offering more than 22,000 pre-loved books, CDs and DVDs. Libraries commence new eNewsletter in January. Libraries launch the Mango Languages online resource. Installation and trial of new Tactile Ground Surface Indicators for people with disabilities at the intersection of Abbott and Aplin Streets. Relocation of inaccessible pedestrian crossing buttons (23 sets) along Spence Street. Installation of new accessible pedestrian crossing points at the intersection of McKenzie Street and the Esplanade. New concrete footpath links on Esplanade between McKenzie and Charles Streets. New continuous accessible footpaths throughout the CBD. Five new accessible car parks in Lake Street. New accessible footpath links in Lyons Street, Westcourt. New accessible pedestrian crossing ramps at Balfe Street and Mulgrave Rd, Parramatta Park. Improvements to open space area at Lake Placid as part of Stage 1 of the masterplan. Toilet facility renewals completed at Anzac Park Babinda and Coastwatcher Park. New fitness trails installed at Ravizza Park, Woodward Park, Engineers Park and Bill Wakeham Park. Lighting upgrade to Palm Cove jetty. $130,000 landscaping upgrade undertaken at Williams Esplanade. New public toilet block, fitness equipment and playground renewal completed at Brinsmead's Loridan Drive Reserve. Verbena Drive, Mt Sheridan playground renewal ($39,000). Arthur Forno Park, Bayview Heights playground renewal ($45,000). Vessey Park, Edge Hill playground renewal ($22,000). Pumeri Park, Manunda playground renewal ($22,000). Idalia Close Park, Mt Sheridan playground renewal ($25,000). Trafalgar Road Reserve, Mt Sheridan – playground renewal ($37,000). Johnson Park, Gordonvale – playground renewal ($33,000). Deadman's Gully, Clifton Beach playground renewal $36,000). Edmonds Close Drainage Reserve playground renewal ($31,000). Hoad Street Park, Earlville playground renewal ($35,000). Esplanade Healing Garden Playground established ($108,000). Sunbird Park, Woree playground and new sail ($80,000). Redlynch Village Green partial new playground ($30,000). Pacific Park Bramston Beach partial new playground ($22,000). Down Park, Edmonton playground and sail renewal ($80,000). Playground equipment upgraded at Banagidirri Park, Mt Sheridan; and Donovan Close Park, Edmonton. $136,000 of upgrades to Muddy’s Playground. BBQ replacement at Esplanade North, Glenoma Park Brinsmead; Goomboora Park, Brinsmead; and Kewarra Beach. $158,000 of improvements to Bramston Beach Campground underway. Carpark upgraded at Half Moon Bay day use area. Council endorses Improvement Plan developed for Shang Street Park, Mooroobool. Upgrade completed at Babinda RV Rotary Park. Dog Off Leash Area established at Touch Park, Aeroglen. Cleaned and maintained 100 public toilet facilities daily. CBD / Lagoon and Inner City Renewal – Esplanade amenities roof renewal, BBQ renewals, Seawall LED lighting, Fogarty Park LED lighting and shared path renewal ($2.2 million). $134,000 of improvements to Sugarworld Waterpark. Mowed 2,073 hectares of parklands, maintained 520 parks and around 200 playgrounds. Babinda Library celebrates 60 years of operation with Open Day. Major campaign launched aimed at encouraging responsible pet ownership, reducing dog attacks and nuisance barking. Council supports visit by RSPCA Educational Mobile Unit to local schools to educate children about dog ownership. A suite of 14 new Local Laws and five Subordinate Local Laws submitted to the State Government for preliminary checks before being released for public consultation. Dealt with more than 8,250 animal-related complaints. Council introduces an “after hours” team aimed at tackling Local Laws compliance issues (noise, illegal camping, animal-related etc) after usual work hours. More than 700 free classes conducted through Active Living program on the Esplanade, attracting over 50,000 attendees. Council joins the Dial Before You Dig program, providing access to the public about the location of underground pipe and cable networks. New Council website delivered, providing improved usability and interaction functions for residents. Six interpretive panels installed at Trinity Beach to highlight role of the area in World War 11 for amphibious training. Guided City Heritage Walks undertaken in May. Cemetery mapping now online, allowing people to easily locate the graves of loved ones. Pedestrian timers installed at busy CBD intersections to boost pedestrian safety. Draft Planning Scheme submitted to the State Government for final approval, with Council receiving a total of 6639 submissions across two public consultation periods held in the past 12 months. Council introduces Licence Plate Recognition (LPR) software to more efficiently target vehicles overstaying in time-limited parking areas. CBD Patrol Team established to enable faster and more efficient responses to enforcement of Local Laws. Increased public space CCTV cameras to 152. Upgraded CCTV network to digital platform and installed new network software. Installation underway of 14 CCTV cameras into four nominated hot spot areas; Manoora, Mooroobool, Manunda and Edmonton. Finalised new Memorandum of Understanding with Cairns City Licensees Safety Association and City Safe Partnership. City Safe supported QPS in the formation of the Cairns Anti-Social Public Space Taskforce. Four community bike rides undertaken to encourage active living. Bicycle Education Track completed at Edge Hill State School. Disaster preparedness workshops for new residents delivered as part of Get Ready Queensland Week. Flooded Roads Early Warning System installed at Peets Bridge, Goldsborough. Council coordinates the 2015 Great Northern Clean Up in September, involving 250 people at sites across the region. More than 80 exhibitors showcase products and services to help residents save on energy and water bills, and reduce waste at the inaugural ECOfiesta held in May which attracted over 9,000 people. The top 11 energy consuming facilities within Council collectively reduce their energy use by 24% over the past 4 years. Council is on track to meet its 50% emissions reduction target by 2020. 7,843 trees planted on Council managed land. 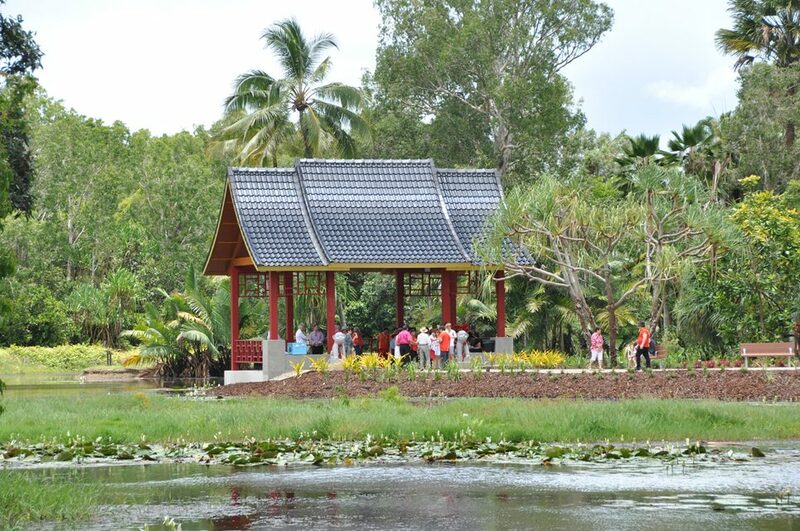 1,060 megalitres of recycled water was supplied to major Cairns golf courses, Yorkeys Knob State School and introduced to the Botanic Gardens for irrigation. Grants totalling $20,000 approved for nine sustainability projects supporting biodiversity, education, food rescue, turtle protection and fish stocking. Council implements best practice Pest Management Plan 2015-18. Council reinstates that 'The Reef Starts Here' through innovative reverse graffiti. Council endorses annual Reef Guardian Action Plan. Council’s commits to “greening” the CBD through its Tropical Urbanism Planning Scheme policy which encourages vertical landscaping on development in the CBD. Council adopts new management model for flying foxes in the city and establishes an advisory committee to ensure a balanced approach is utilised in managing roosts. Beach protection works at Fitzroy Island undertaken. $23.7 million Tobruk Memorial Pool redevelopment well underway –includes 50m pool built to FINA specifications, an artificial wave rider, a toddler waterplay pool, and 25m program pool. The 3km Green Arrow Walking track is completed and opened. $225,000 in renewal works underway for Red and Blue Arrow tracks. Local sports clubs benefited from grants totalling $51,125 through Council’s Go Clubs program. A 5km cycleway connecting Brinsmead with Redlynch Valley officially opened. Institute of Public Works Engineering Australia Excellence Award (for Projects $1 million to $5 million) for Redlynch Connection Path. Aeroglen to Freshwater Cycleway constructed at a cost of $2.8 million. Successful funding application with DTMR to construct Mann St Cycleway. Ride to School Day and Walk to School Day events conducted at 8 schools as part of Healthy Active School Travel Program. Seven schools deliver bicycle education as part of Healthy Active School Travel program. Sugarworld Parklands Master Plan developed and endorsed. The plan includes a new 25m public pool and an expanded car park. Coastwatchers Park at Trinity Beach identified for a new active youth space, includes skatepark, ball sports area, and fitness equipment. First stage of the $7.9 million Walker Road sporting precinct at Edmonton begins - includes establishment of four diamond fields suitable for baseball and softball. Master plan developed for Edmonton's Fuller Park. Commencement of Stage 1 of Gordonvale’s Alley Park MasterPlan to provide expanded fields, combined clubhouse, activity space, improved parking and drainage. Machans Beach Community Sports Facility, sports field and car park development ($500,000) completed. $45,000 lighting upgrade for fields at Petersen Park, Edmonton. Upgrades to Babinda Pool, Smithfield Pool, and Woree Pool completed. Fitness room improvements to Marlin Coast Recreation Centre completed. $100,000 of improvements to Cairns Motorcycle Club Track underway. $160,000 lighting upgrade for soccer fields at Jeff Pezzutti Park underway. Amenities facility constructed at Trinity Beach Tennis Club. Provided $120,000 in sport and recreation community grants to Go Clubs members. Hosted two Club Development workshops on Governance and Strategic Planning; and Sponsorship and Financial Management. Council finishes 2014-15 year with a $7.8 million surplus. Council delivers modest 1.5 per cent increase in general rates for 2015-16 year. Council axes credit card surcharge on payments. No increase to Fees and Charges for 2015-2016 financial year and a total of 141 fees and charges removed from the schedule. Council adopts a balanced Budget for 2015-2016 year. $142.7 million of Capital Works outlined in the 2015-2016 Budget. Council commits to expenditure of $228 million on materials and services. $670,000 committed to support major sporting events. $360,000 committed for economic and industry development. Financial modelling over next 10 years indicates capital expenditure of approximately $1.4 billion and annual rate increase of between 2% and 3.5%. Urban Spaces program launched which matches new local enterprises with vacant spaces in the Cairns CBD to assist emerging entrepreneurs and creative industries. Council commits $2 million in funding for the 2015-16 year to support tourism through Tourism Tropical North Queensland. $30,000 grant approved to boost economic growth of the Superyacht/Marine sector in Cairns. $30,000 grant approved to Study Cairns to internationally market Cairns to potential students. $12,500 committed to the Babinda Visitor Information Centre and $7,500 to Babinda Taskforce to support economic growth of Babinda. $10,000 funding to deliver the Tropical Queensland Export Exchange in October, bringing 70 international agricultural journalists to the region. $10,000 funding to promote Cairns’s creative industries, indigenous arts and culture, tourism opportunities, and tropical expertise at the Johor Bahru (Malaysia) Arts Festival. Council provides sponsorship to the Start-up Business and Innovation Weekend ($3,000) and of the Tourism Innovation Conference ($15,000). $7.3 million upgrade to Aumuller Street to widen it to four lanes between Mulgrave Road and Gatton Street, improving traffic flow and safety. $15.8m reconstruction of Machans Beach Seawall completed. Improvement works undertaken at “Duck Pond” and Sawpit Gully Reserve at Forest Gardens. Road safety improvements undertaken at Yorkey Knob Access Rd, Draper St, Hartill St, Balaclava Rd/Irene St, Cartwright Rd, O’Brien Rd, and Mill St.
Stoney Creek Road Pathway construction underway. $222,000 of pathways constructed at Palm Cove. Major refurbishment of nine pedestrian bridges in Fuller Park, Ragnar St, Klarwein Cl, Edmonds Cl, Pioneer drain, Meteor St, Kaban Dve & Enmore St and of the Rinks Cl Jetty. Replacement of Ellis Beach and Koch St pedestrian bridges, and a new pedestrian bridge planned at McCoombe St. Timber bridge inspection and repair program. Geotechnical investigations of approximately 12 road bridges which are assisting in the design of 4 bridge replacements. Level 2 bridge inspections of over 100 road bridges and around 150 pedestrian bridges. New toilets at Deeral boat ramp. 14 new pedestrian countdown timers installed in the CBD. New BBQ shelter completed at Kewarra Beach. $4.5m Suburban Enhancement Program for new infrastructure, resulting in kerb and channel installation (new and renewal) in 39 streets and road shoulder sealing in 42 streets. $4m road improvement works delivered, including asphalt, reseal, minor and major pavement rehabilitation. Fixed around 2,000 pot holes and other minor road defects. City Centre footpath and streetscaping upgrades undertaken for McLeod, Spence, Sheridan, Grafton and Abbott Streets. Right hand turn lane created at Foster Road and Forest Gardens Boulevard. $700,000 in street lighting upgrades completed including Lily Street, Abbott St centre median lighting, Esplanade Kerwin to Charles, Esplanade/McKenzie St car park; and Sunbird Park. $560,000 of footpath renewals undertaken at Hambledon Dve, Neary Cl, Murray St, Florence St, George St, Trinity Beach Rd, Daphne St, Golden Grove Dve, Charlotte Cl, Windarra St, Anderson Rd, Fairview St, Smith St, Grove St, Corkill St, McManus St, and Arnold St.
15 new DDA compliant bus stops delivered. $9.7m flood mitigation works completed including construction of the 100 mega-litre Moody Creek detention basin at Ramsey Drive and levees downstream of the basin. $340,000 of drainage works in Shaft Street, Edmonton underway. Barron Gorge culvert, McCoombe/Moody St culvert, and Boulders Road culvert completed. Drainage improvements to Birch St, Harley St, Bluewater Marina, Russell St, and Morris/Peterson Sts. $380,000 on stormwater drain relining program. Refurbished Re-discovery Education Centre opened at the Materials Recovery Facility, allowing increased capacity to accommodate groups of up to 30 for schools, tertiary, technical and community groups. Council approves master planning exercise to upgrade the transfer station network to cater for predicted increase in waste and to maximise resource recovery. More than 3,500 representatives of educational institutions, community and special interest groups take part in water, wastewater, waste and recycling tours and presentations. Free green waste program held in April and November yields approximately 3,000 tonnes of green waste from 15,000 vehicles. Approximately 1000 tonnes of mulch given away during free mulch program in May and December. Hosted and chaired the Waste Management Association of Australia WasteQ 2015 conference. Undertook the inaugural Waste Rediscovered Sculpture Exhibition with 10 local artists transforming discarded objects into sculptural works of art. Buy Back Shop community open day held to showcase improvements including site layout, new shade sail covering outdoor displays, point-of-sale area, introduction of individual pricing of goods. Contract awarded to manage the Portsmith landfill flare gas field operations, enabling carbon accreditation and reduction in emissions. CRC awarded the LGM Queensland Risk Management Excellence Award for management of operational and contract risks associated with the management of gas at Portsmith landfill. Council endorses purchase of 4 hectares of land adjoining Portsmith Transfer Station as the first stage of the Transfer Station Master Plan. Installation of improved glass crushing equipment at the Material Recovery Facility producing higher quality final product. Commencement of e-waste (televisions and computers) collections at Portsmith and Smithfield Transfer Stations. Commenced sugarcane fertiliser bag collection trial at Babinda and Gordonvale Transfer Stations. 11,400 tonnes of kerbside recycling collected. 6,400 tonnes of recyclable material sent for recycling from the Material Recovery Facility. Cairns Water Security Strategy, aimed at securing a long-term water supply for the region, was developed and endorsed, including planning, design and construction of the new Draper Road water treatment plant (Behana Mulgrave Water Supply Scheme), Mulgrave River raw water intake and new mains ($200m) and installation of smart water metering for commercial and domestic water meters. Water from the Mountain View treatment plant lauded as best tasting water in FNQ as part of the 2015 Ixom Best of the Best Queensland Water Taste Test. 25,050 ML of (potable) drinking water produced and supplied to the region. Construction of 13,262 metres of trunk and reticulation water mains ($10m). Construction of two water pump stations ($1.3m). Installation of intake valves and associated works at Copperlode Falls Dam Outlet Tower ($1.8m). Construction of the new Behana Water Main Mulgrave River Crossing Upgrade Piers - water main over Mulgrave River ($900,000). Construction of access road to Bessie Point Reservoir ($411,000). Council hosts the 2015 Australian Water Association Regional Conference focusing on driving efficiency in water service delivery. Water Laboratory completes approximately 17,000 tests per month. 18,987 ML of sewage treated from the region. Design and construction of a new sewer rising main to connect the new Mount Peter development to Edmonton Wastewater Treatment Plant ($12m). $3 million design and construction of new sludge facility at the Southern Wastewater Treatment Plant. $2.5m sewer line and manhole rehabilitation program undertaken. Scheduled upgrades of three sewer pump stations ($1.3m). Optimisation efforts at wastewater treatment plants results in $600,000 per annum in operational savings. Construction of 3,356m of rising main ($1.46 million).